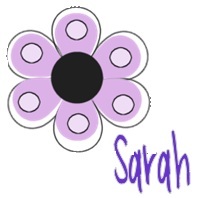 This week has been all about sight words in summer school. Each child has a library pocket in their notebook with the 5-10 words he is working on. Everyone's words are different based on how they did on the pretest. 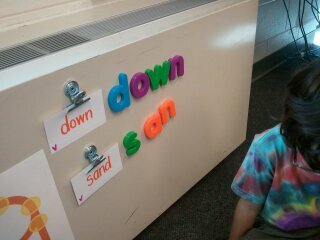 This kiddo is building his new words using magnet letters - on the AC unit! ... 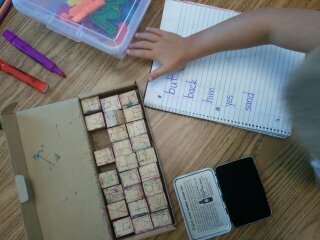 I wrote the words into his notebook and he's finding the correct stamp to build the words again. 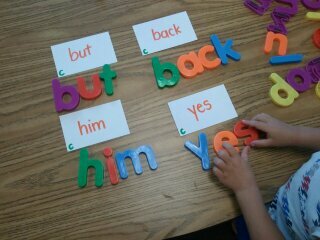 This kiddo is doing rainbow words - each letter in the word has a different color; he then is going back to draw a picture to go with the word. For has, he drew a picture of something that he "has in his hand." I thought it was great - most kids would skip that word. 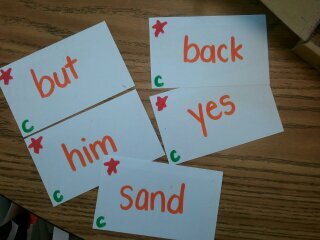 I tried to create as many sentences out of these words as possible and wrote them on sentence strips so we could play "Slap!" I call out a word and the first (two teams) to slap the word with a fly swatter gets a point. They are quickly scanning the sentences to find the word, but whispering the other words to themselves! I am pleased with the progress they have made in just a few days. Sometimes it is hard to see much growth in eight days (and during the summer! ), but this group of kids is working hard! 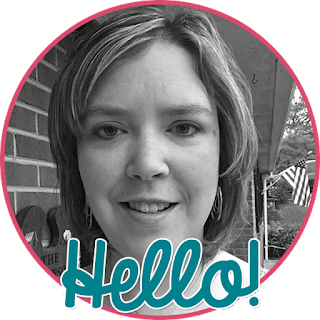 I hope you get some new ideas on sight word reinforcement! Love all the hands-on activities! I nominated you for an award. Please stop by to pick it up. 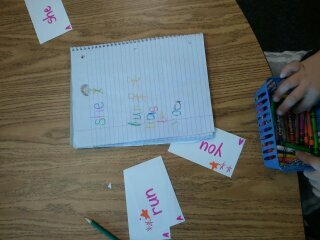 Thanks for these great ideas for teaching sight words.